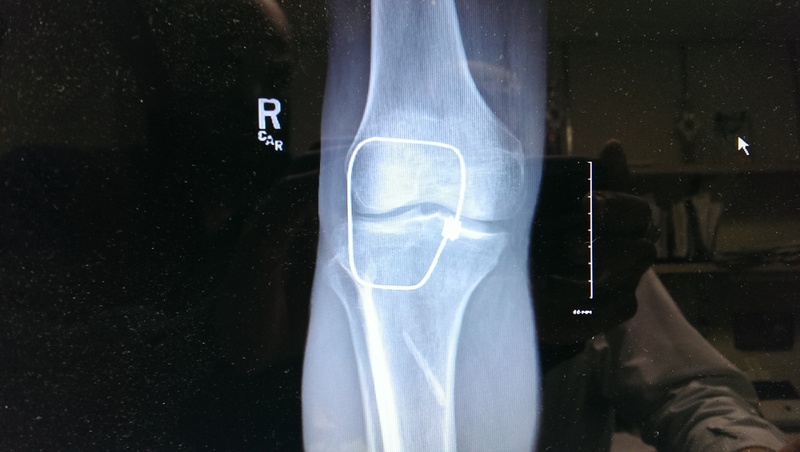 It’s been almost three months since I tore the right patella tendon from my kneecap and had it operated on four days later. Well today, some really cool X rays of my knee were taken and it’s all good. 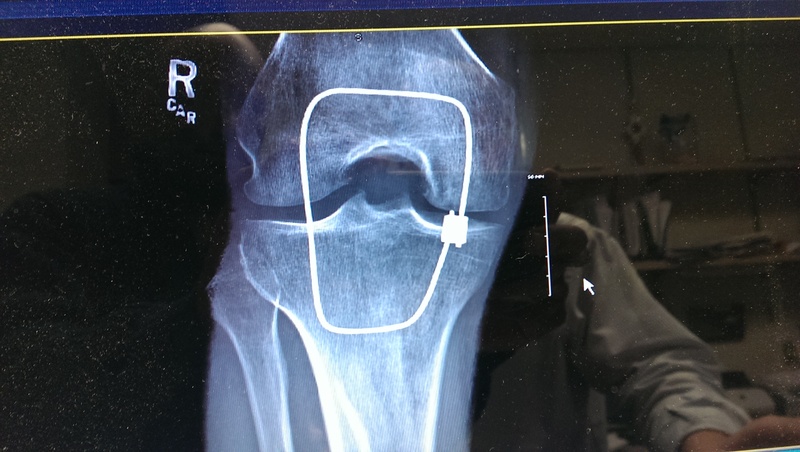 The cable in my knee was put there to help insure that my right patella tendon does not tear during the healing process. 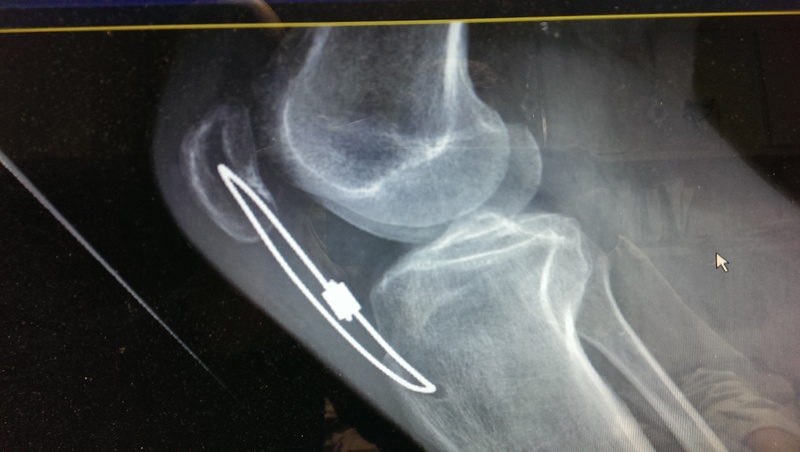 The cable will be removed in about two weeks; then my real physical training starts in earnest (I’m going to play the Rocky theme song every morning). I want to say to everyone who called my cell, sent me an SMS message, dropped me an email and wished me well on FB a huge, THANK YOU! Your positive energy and blessings greatly helped my recovery and keeps me ever mindful of just how grateful I am for my health, my good looks and everything that I have. Hey, if you like extreme fitness like I do, then sooner or later you may end up on crutches; OK, maybe not as major an injury as I have; but I’m just saying. Besides at the time I tore my patella, my energy wasn’t good and I’m a firm believer in the law of attraction that states the energy you give out is the energy you get back. Sometimes a good knock to the ground is what one needs to become present and gain perspective. Not once, since I’ve had my injury, have I been depressed about it. On the contrary, when I was lying there on the living room floor of my apartment all alone and writhing in pain, I actually said to myself, “OK Hycel, you’ve got no place to go but up”. So, on with the challenge, on with my rehabilitation, on with my new way of positive thinking, on with my being grateful for everyone and everything that I have; on with my new life. This entry was posted in Diet, Health & Exercise. Bookmark the permalink. I wish you well. My name is Dawn, I know you won’t remember me but I was a member of your fathers congregation at 2nd Baptist during 1980’s & 90’s. I went to Denmark to live during 90’s 2000. When I returned to the U.S. many things changed and I no longer had the pleasure of hearing another one of your father’s eloquent sermons although I wish I could. So hurry up and heal and get back to the active lifestyle you love so much….but be careful….you’re still getting older.